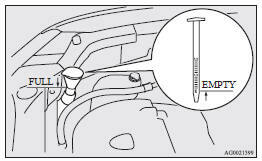 Open the washer fluid reservoir cap and check the level of washer fluid with the dipstick. If the level is low, replenish the container with washer fluid. 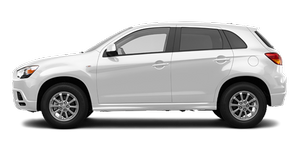 • The washer fluid container serves the windscreen, rear window and headlamps (if so equipped). To ensure proper operation of the washers at low temperatures, use a fluid containing an anti-freezing agent.